Our state has never suffered from a dearth of unprincipled careerist politicians. Who can forget state legislator and congressional candidate Adam Kwasman, who used a busload of YMCA campers in an inadvertently comedic attempt to score points with the anti-immigrant crowd? Or Scott Fistler, who in 2014 changed his party affiliation to Democrat and his name to Cesar Chavez to run for Congress in a heavily Hispanic, Democratic district? Then there is this writer’s perennial nominee for world-champion political charlatan, Kyrsten Sinema, who may well be our next U.S. Senator despite her complete abandonment of principle and honor. As accomplished as these mountebanks are at advancing their self-interest over the common good, Rodney is at least their equal. His campaign motto, “Qualified. Principled. Conservative,” is doublespeak par excellence, and as such is in need of some parsing. 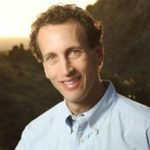 Rodney moved to Tucson in 1997 and enrolled in the University of Arizona as an undergraduate. At that time he also managed the Gateway Ice Center, a failing ice skating rink owned by his father, Robert Glassman. Never one for subtlety, during his tenure at Gateway Rodney hung a huge portrait of himself above the rink entrance “like some make-believe Commissioner of Hockey,” so that the kids who practiced there wouldn’t fail to notice who was boss. Alas, the Commish didn’t fare well as a businessman; Gateway lost $60,000 in 1996, $24,000 in 1997, and $17,000 in 1998. Once it became clear to Rodney that business was not his forte, he enrolled in law school and graduate school at the U. of A.. This led Rodney to an eventual Ph.D. in Arid Land Resource Sciences, though not without complications; he seems to have plagiarized several parts of his doctoral dissertation. Rodney was as clueless of a candidate on policy as I have ever run across running for office. As a political writer, I had interviewed hundreds of candidates misguided, misinformed or just missing relevant information that made their ideas unworkable. I had never run across someone who absolutely did not care one way or another about a single policy. Born and raised in Fresno, California, Rodney made his money the old-fashioned, pull-yourself-up-by-your-bootstraps way; he inherited the proceeds of a family agri-business that made hundreds of millions of dollars polluting the environment and exploiting farm labor. In 1948 Rodney’s grandfather, Albert Britz, founded Britz Fertilizers, Inc. a company Bloomberg describes as, “a retailer and wholesaler of agricultural fertilizers, chemicals, seeds, and applications in California [that] offers calcium solutions, spray oils, nutrient buffer spray solutions, magnesium solutions, zinc gluconates, foliar sprays, botran sulphur solutions, dry spreaders, oil blends, and sulfur dusts.” Britz has been sued by farmers for causing chemical burns on crops, and was responsible for multiple environmental violations in the 1980s and 1990s, including DDT contamination, illegally burying toxic materials, emitting a poisonous hydrogen sulfide gas, and disposing of toxic wastes in unlined ponds. Historically, Rodney’s family business has adhered to conservative principles, at least until the precise moment those principles interfere with its bottom line. In 2002, the Los Angeles Times revealed that Britz Fertilizer collected $4.6 million in federal crop subsidies between 1997 and 2002. Rodney brought this addiction to big government buyouts with him to Tucson. When he first assumed the title of Czar-on-Ice, Rodney harangued the Tucson City Council to get them to prevent youth hockey teams from buying cheap practice time at the Tucson Convention Center’s ice rink, and tried to get the city to shut down all public skating at the TCC because it was undercutting what he charged at Gateway. When free market capitalism didn’t go his way and Gateway began to lose money, Rodney begged the Council for a taxpayer-funded government bailout. Wisely, the Council ignored both his pestering and his pleading. Now, Rodney has re-invented himself once again as a “principled, conservative Republican” running for the Arizona Corporation Commission. His campaign chairperson is Maricopa County Attorney Bill Montgomery, one of the biggest proponents of mass incarceration in the nation. In a recent radio interview with Chris DeSimone on 1030 KVOI AM, Rodney claimed his political conversion from progressive Democrat to conservative Republican is simply the consequence of him “growing up. These days, he wants to reform the Corporation Commission by advocating that it adopt the Arizona Code of Judicial Conduct, which promotes fair-minded and ethical practices within the judiciary. Ethics is a strange hook for Rodney to use in his latest effort to be elected to some / any public office. 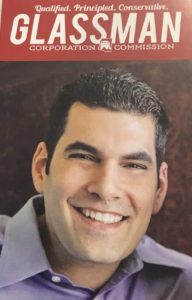 He did not seem too concerned about ethics when he plagiarized his Ph.D. dissertation, or tried to brow-beat the Tucson City Council into bailing out his family business, or exploited Gabby Giffords for selfish political gain while she was still clinging to life in the emergency room with a bullet in her brain. Nor is he that concerned about ethics in his current campaign for Corporation Commission. At minute 13:54 of his recent interview with KVOI, Rodney justifies the University of Arizona’s current $13,000 per year tuition by claiming that not all successful people need to go to college. 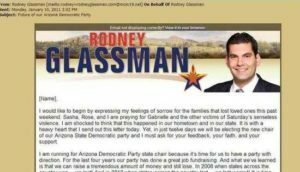 Rodney, a practicing attorney with the Phoenix law firm Beus Gilbert, PLLC, who is bound by the Arizona State Bar Association Rules of Profession Conduct, then says something that raises all sorts of ethical red flags at minute 14:42, in an attempt to justify his new-found conservative mission to undermine and de-legitimize public education. Ethical Rule 1.6 hold that, absent a few very specific exceptions, “A lawyer shall not reveal information relating to the representation of a client unless the client gives informed consent.” It would not take a brain surgeon to boot up the Google machine and, in less than one minute, discover who owns Arizona’s largest new construction residential plumbing company. 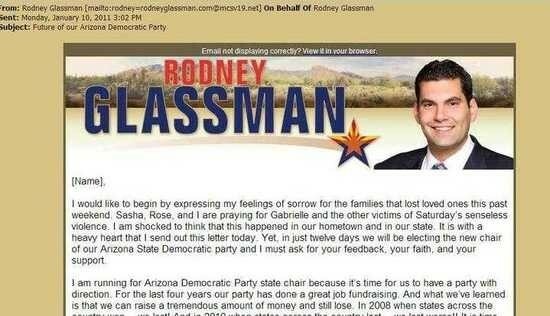 In order to further his political career, Rodney has now shared with the world the fact that this person – his client – is not a college graduate. Let us hope they gave Rodney their informed consent to reveal this highly personal piece of information, which is not usually something people feel comfortable having their own lawyer publicize. If Rodney’s client did not consent to being used as a political prop in his attorney’s born-again conservative, self-aggrandizing charade, this episode will merely reconfirm what Rodney’s entire career demonstrates – Rodney is biologically incapable of caring about anyone or anything other than Rodney. Rodney could not care less about ethics, and he has no real interest in policy except as a vehicle for the expression of his ego. He wears politics the way others wear hair styles; changing his on a whim. If Rodney lived in Moscow in 1917 he would be a Bolshevik. In 1922 Italy he would be a Black Shirt, and in 1949 Beijing he’d be a Maoist. Rodney will join any party, mouth any slogan, and pledge allegiance to any flag to advance his political career. He is the antithesis of a public servant, and he will probably win in November because, in 2018 America, party identification trumps ethics, decency, and common sense. Thanks for sharing this. Rodney sounds like the GOP dream date for corp commish. He’s cut from the same cloth as Susan Bitter Smith. Also, I rate any article that uses the word “mountebank” as A+. I attended a small event with Glassman when he ran for the Senate. I even donated money. There was no other candidate. He was extremely glib closing in on bs. His wife I saw on a school board in the Phoenix area. She was very smart and very supportive of public schools. But turn coating is Arizona tradition. Many more elected officials were Democrats until 1982 then turncoated to stay in office. And John McCain can seem so statemenlike because he has likely been on everyside of EVERY issue through the years. He even looked out of the windows on both sides of Charles Keating’s private jet.